A sample of Lotusland treats. Photo by Jerry Harpur. 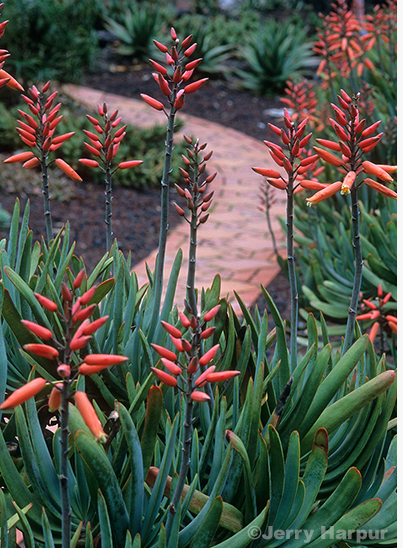 Tickets are still available for Laguna Nursery’s bus tour to Lotusland in Santa Barbara on Saturday, Aug. 26. Horticulturist Ruben Flores will chaperone visitors as they explore a large estate and botanic garden created by Madame Ganna Walska, now recognized as one of the world’s top gardens. Depart from Laguna Nursery at 8 a.m., 397 S. Coast Highway. Tickets, at $90 each, can be purchased at Laguna Nursery, 949 494-5200. The Laguna Beach Live! All-Stars, comprised of artists that have performed in the jazz series over the years, perform Wednesday, Aug. 30, in a Hotel Laguna Rose Garden concert. The band will feature award-winning original arrangements and compositions led by Bijon Watson on trumpet, Tom Luer on saxophone, Francisco Torres on trombone, Will Brahm on guitar, Andy Langham on keyboard, and Jamey Tate on drums. Doors open for the 6 p.m. concert an hour before. While the show is sold out, tickets are often turned back in and will be offered from a wait list: www.lagunabeachlive.org or by phone at 800-595-4849. Information line 949-715-9713.